The original Dark Lord of the Sith stars in his first ongoing series! Ever since Darth Vader's first on-screen appearance, he has become one of pop culture's most popular villains. Now, follow Vader straight from the ending of A NEW HOPE into his own solo adventures - showing the Empire's war with the Rebel Alliance from the other side! 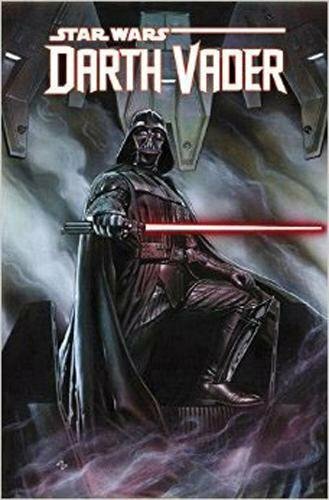 But when a Dark Lord needs help, who can he turn to As Vader pursues a very personal vengeance against the Rebels and investigates the Emperor's secret machinations, he clashes with weapons scavenger Aphra and deadly Battle Droids, and returns to Geonosis to build an army. But some very powerful people don't want him to learn the truths he seeks! Guest-starring Jabba the Hutt, Boba Fett and more!